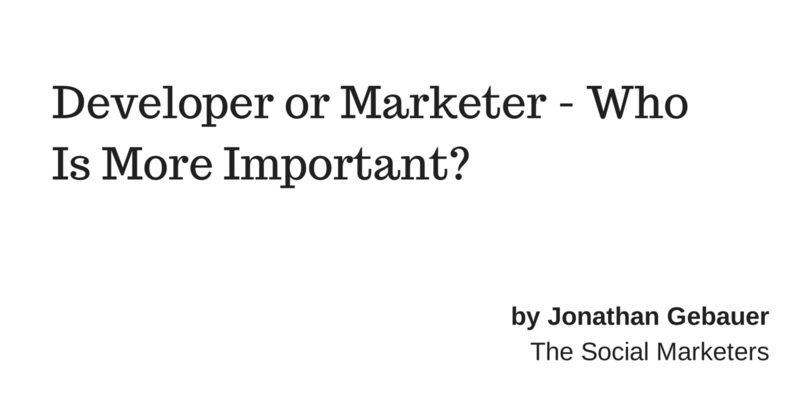 Developer or Marketer - Who Is More Important? 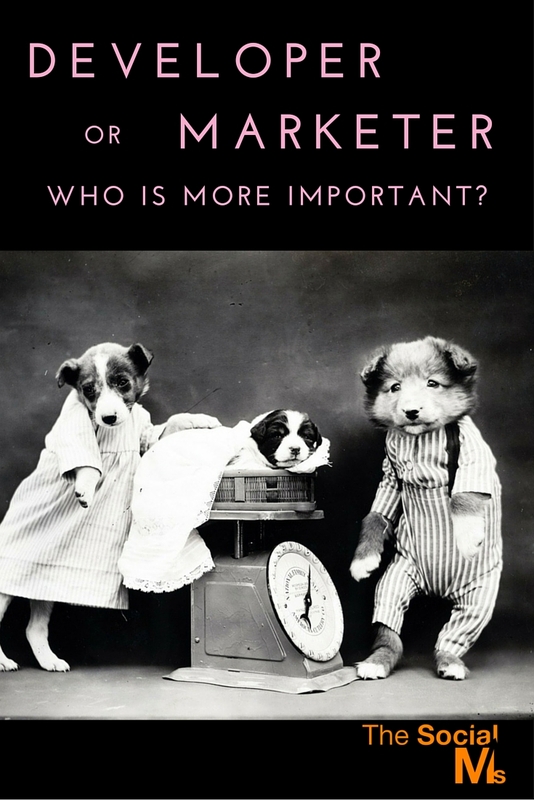 Home/Post / Developer or Marketer – Who Is More Important? This question often comes up when discussing new projects, online projects in general or even just your consulting fees. And it seems that everyone has his opinion, and they differ widely. Why should I be the one who can answer this question? I started my personal career as a developer. Then, when we founded exploreB2B, I became the product manager, making decisions about how the product should work and look like on a daily basis, but not implementing the changes myself. I became a team leader – and I became dependent on developers. Developers became the currency in which I tried to pay my debt to the users. So they were worth the world to me. Do not make the mistake to believe that marketing will somehow solve itself over time. We believed that marketing would somehow solve itself over time. We would aggregate user by user, day after day and at some point word of mouth would kick in. Or we would simply hire someone for marketing – and this person would magically reach the masses. We would post about exploreB2B on Facebook and it would turn viral. We would be covered on TechCrunch and all our troubles would disappear. None of these worked. What ever we did, we did not reach enough people; we did not convert enough visitors to regular users, we did not grow fast enough. We had to fire the person we hired for marketing after two weeks. At some point, we found out we approached the problem the wrong way. So we learned about marketing, strategy and execution. We implemented a strategy that fits our product (social media and content marketing), we worked on our messaging (publishing service); we tested our marketing channels for targeting the right audience. We scaled what worked and killed what didn’t work. The funny thing is: My product management approach changed immensely. I started creating a product for actual users – I suddenly had access to data. I could enforce growth within the product management part of my job. The two jobs I had turned into one – I became what many in the startup community call a “Growth Hacker” (I don’t like this term). 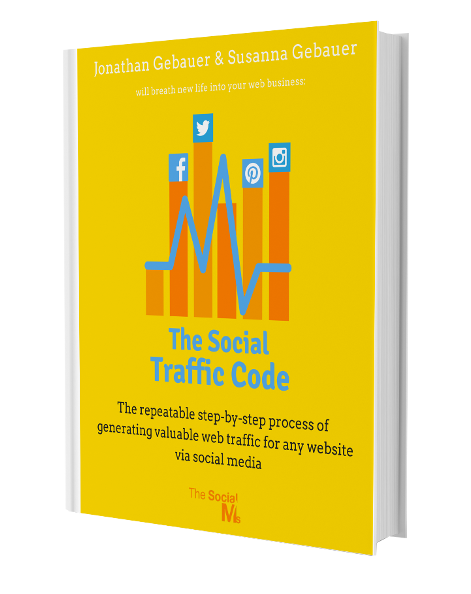 Do you want to learn how to get your marketing on the right track? So, who is worth more? Marketer or Developer? In my consulting life, I offer two services: marketing consulting and product management. A couple of days ago I was asked for both rates and was met with a lot of surprises when they found out that my rate for marketing consulting is higher than my product management rate. Without any form of marketing you don’t get any users. You won’t make any money. Without any form of marketing, you don’t get any users. You won’t make any money. Even your sales person won’t get far if you cannot implement a lead generation strategy and a sales funnel to nurture leads. And that is part of a marketing strategy. Without a marketing concept, you can only create products for virtual (equals: non-existant) customers. Without a marketing concept you can only create products for virtual (equals: non-existant) customers. 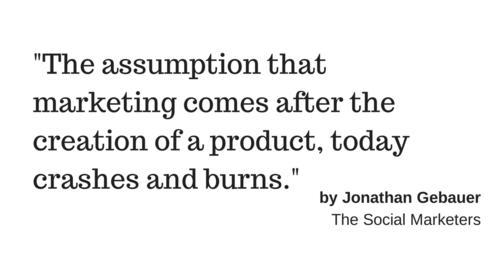 That means, that the seemingly obvious assumption that marketing comes after the creation of a product, today crashes and burns. Without marketing, the creation of a viable product that solves enough customer pain to gain traction is sheer luck. The question of what is more important comes down to what is more important to you. In many situations you need to ask yourself the following question: Do you want to build a perfect product with no users (or few users) or do you want to reach more users. And then perfect the product for them? Marketing in recent years has changed – the assumption that marketing consulting should be cheap comes from a time when marketing consisted of a very limited toolset of tested and accepted procedures. Today, marketing consists of an almost infinite set of strategies and tools ranging from customer service, online advertising and social media marketing to content marketing and public relations, and a valid strategy touches not just on one of those areas but many at once. A profound knowledge of the marketing landscape today is much harder to come by. And a good consultant can be your guide in a still rapidly changing landscape. Now – that doesn’t mean that the developer is worth less. Marketing and development should go hand in hand to create value. Who is more important, or worth more is simply defined by the current market situation. And the recent massive changes in the marketing industry which came into existence through social media and online marketing have lead to good marketing experts with a profound knowledge of modern marketing strategies to be expensive. But that can change in the future. And it is not that important after all. In summary: You can buy a developer for $X and a marketer for $Y, but having them work together is priceless. You can buy a developer for $X and a marketer for $Y, but having them work together is priceless.